Three peer-reviewed accepted manuscripts from the pilot phase of the Global Glyphosate Study are available online today (May 16th). The papers will be published in the prestigious scientific journal Environmental Health later in May. The pilot study was a single-dose study on glyphosate based herbicides (GBHs) in rats, using the the U.S. Environmental Protection Agency’s acceptable daily dietary exposure level of glyphosate (cRfD) – 1.75 mg/kg/day. (a single-dose study means that the same concentration was given to the rats daily over a 3 month period). Organic Bytes: What will it take to get this chemical banned? Monsanto is working frantically with its cronies at the U.S. Environmental Protection Agency (EPA) to get another 15-year approval for its Roundup weedkiller—before EPA Administrator Scott Pruitt gets fired or Trump is impeached. A new global assessment, released Tuesday by the University of Arizona, helps scientists explain why cases of pest resistance to genetically modified crops increased by more than fivefold in the past decade, yet some pests remain suppressed. In 2016, farmers worldwide planted more than 240 million acres (98 million hectares) of genetically modified corn, cotton […] The post New Global Review Shows Five-Fold Increase in Pest Resistance to GM Crops appeared first on Sustainable Pulse. 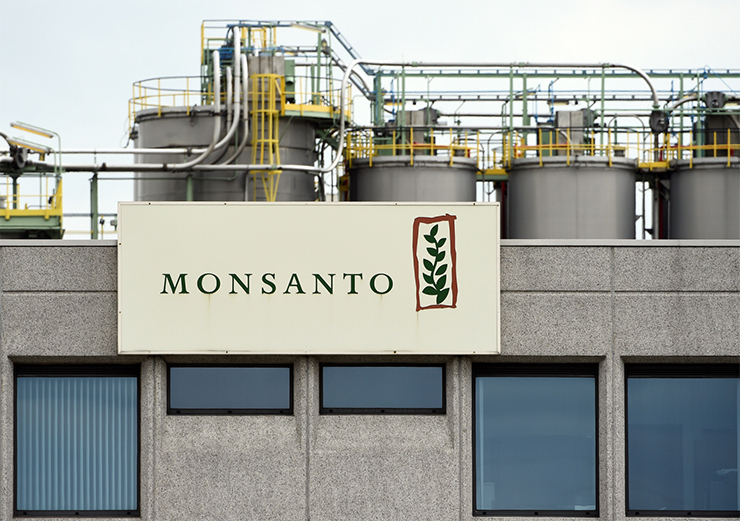 Is Google Helping Monsanto Hide the Truth? First, the good news. The work we’re doing together is paying off. 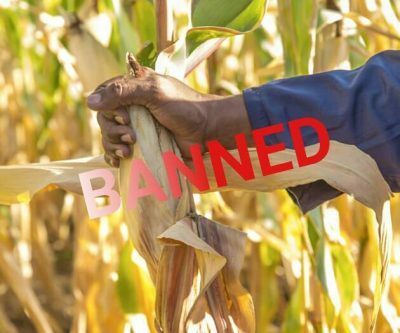 This week, the EU Parliament banned Monsanto lobbyists from attending any meetings there—because the Biotech Giant refused to show up for hearings into allegations that it had interfered with safety studies. This, on top of class action lawsuits by farmers whose crops were damaged by Monsanto’s dicamba herbicide, and hundreds of lawsuits by people who have non-Hodgkin lymphoma cancer after being exposed to Monsanto’s Roundup herbicide, is eroding Monsanto’s power. The Detox Project and Sustainable Pulse has created and published Wednesday the first ‘Short History of Glyphosate’, which identifies some important dates during the scandalous history of the World’s most used herbicide. 1961: Glyphosate was patented in the U.S. as a Descaling and Chelating Agent by the Stauffer Chemical Co. Due to its strong metal […] The post A Short History of Glyphosate appeared first on Sustainable Pulse. Do we really think the Trump administration, the Republican Congress, and farm state and Establishment Democrats care about the toxicity, exploitation and environmental destruction of our food system? The culinary directive from Congress and the White House this summer goes something like this: Don’t worry. Shut up and eat your Frankenfoods, cheap junk foods, and factory-farm meat, dairy and poultry. 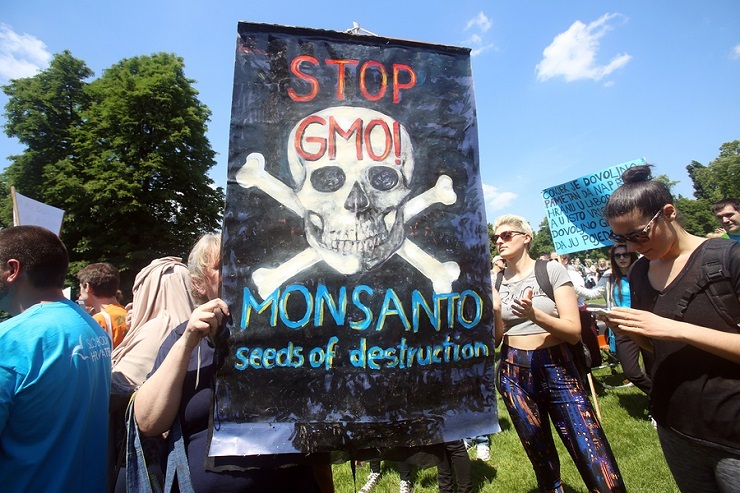 It’s time to step up the attack on Monsanto, pesticides, factory farms, fake “natural” products, organic fraud, and the entire degenerative food and farming system. It’s time to make organic and healthy food the norm, not just the niche market that it still is.